Like the unmistakable Boxcars, another genre of "Iconic Cars of the 80s" seems to have been molded specifically for this era; those cars lovingly named "Hatchbacks." Nearly every car or sedan variant seemed to include a hatchback version through the majority of the era. What was it that the automakers found so enticing to want to replace a classic trunk with a sloped window? The answer to the mystery might have been an effort to create an aerodynamic yet functional compartment. 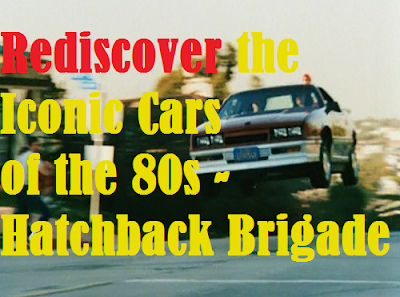 Nonetheless, let's rediscover the iconic cars in what we've titled as The Hatchback Brigade. Now we move on to the next chapter of Chrysler's hatchbacks with the G platform which surfaced in 1984; thus the theory that Chrysler had an internal competition. This newer platform sported the Dodge Daytona and Plymouth Laser. These cars were the predecessors to what many of us have come to know as the Mitsubishi class platforms which we commonly see today (e.g. Talon, 3000 GT, Stealth, Avenger, etc.). While some may recognize the early Dodge Daytona from the '80s show Hunter, the Daytona model of the G platform enjoyed a long production run from 1984 to 1993. Finally, the last of the Chrysler competition was a very short lived rear wheel drive hatchback called the Chrysler Conquest. This niche car attempted to capture the import crowd with a sporty and relatively economical stature. However, lack of proper advertising coupled with slow sales led to a quick demise for this car. The legendary car that most of us recognize from the Back to the Future trilogy, the DeLorean DMC-12, was actually built in Northern Ireland from 1981-1983 before meeting its demise. Why so short lived? The founder was arrested for allegedly trafficking drugs, but was later found not guilty. Even though his innocence prevailed, the damage to the company's reputation was irrevocable. With that aside, the production life the DMC-12 boasted a standard stainless steel body with a fiberglass chassis along with the gullwing doors. Other options included having the car gold-plated or painted. 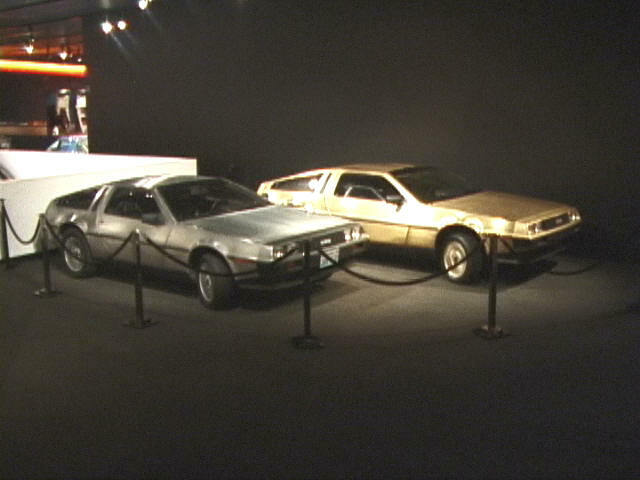 In previous article, we've also outlined the history of the DeLorean. 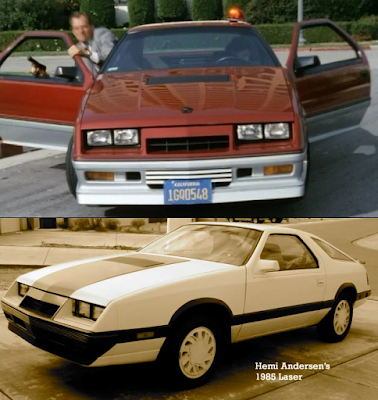 One of my personal favorite hatchbacks and one of the pillars of iconic '80s cars was the third generation (also referred to as the F-type body) Chevrolet Camaro and Pontiac Firebird/TransAm. This generation came on the scene in 1982, with the first two TransAms going to NBC for the TV series Knight Rider. Production continued with little variations until 1992 before the Camaro went into a brief retirement and a permanent one for Pontiac. This affordable sports car allowed the high schooler to sport their latest "-do" and the mid-lifer to revisit their youth (not to mention it became a cartoon television star as Thunder Hawk in M.A.S.K. and the Knight Industries Two Thousand aka K.I.T.T. in Knight Rider. 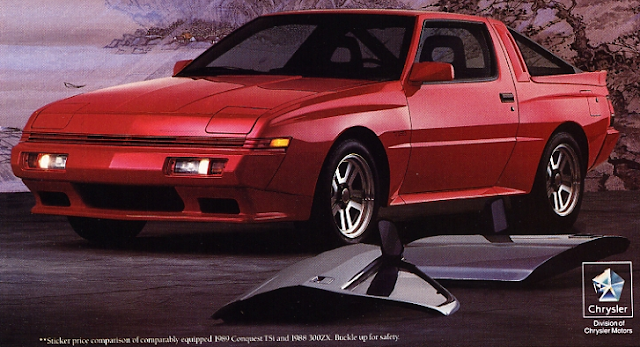 With a few variations, the models that stand out as the most iconic are the Iroc-Z and the TransAm models. Where would GM be without the competition of the pony car, the Ford Mustang and its sister, the Mercury Capri? Ford based their muscle car on the Fox platform which was used for the Fairmont and later the revised LTD/Marquis. Plagued with poor performance initially, Ford pulled out all the stops for this muscular hatchback giving both the Mustang and Capri a broad range of engines from the sipper to the guzzler; 2.3L four-cylinder, three six-cylinder options, and two V-8s. The first generation of the Honda CR-X debuted in 1984 and though short lived, ending its production in 1987. It quickly became a sporty, hatchback icon of the '80s and lead to much competition with both the domestic and import vehicles. Which one of these did you own or remember riding in? Personally, my family always favored the Chrysler brands for some reason, perhaps out of abundance of the cars in our area or the relative cheap used car cost. Nonetheless, I owned the 1986 Plymouth Turismo, painted in black and pictured with my K40 CB antenna. My dad owned a 1980 Plymouth Horizon four-door, in which I learn how to drive a manual. My sister also owned a 1981 Dodge Omni 024 so I am well acquainted with the Chrysler L Platform and their 2.2L powerplants. 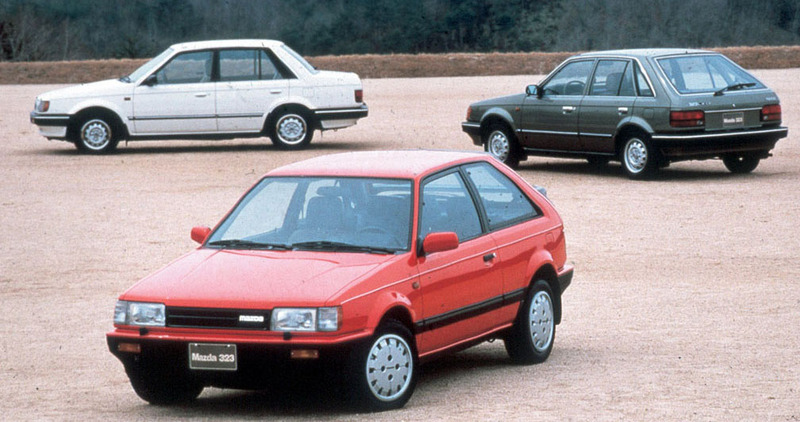 Let me know your memories in the comments and if we might have missed your favorite hatchback. In case you missed the first entry in this series, check out The Boxcars. Our iconic journey will continue next time with the Coupers.